Hide or reveal the .mac icon in OS X 10.4. Is there a better alternative to SyncScrubber? Is SyncScrubber really the best app in System category? 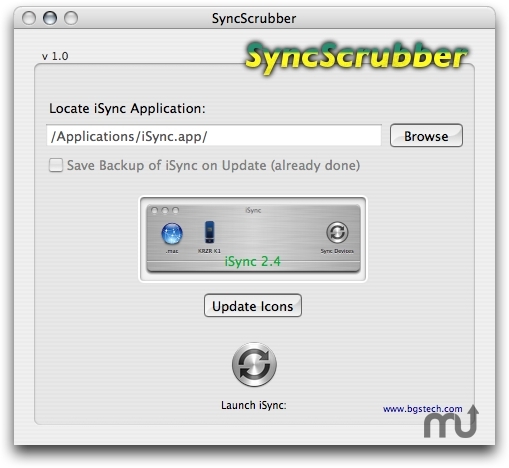 Will SyncScrubber work good on macOS 10.13.4? SyncScrubber allows a user with admin privileges to modify the user interface of iSync (OS X 10.4) in one simple way -- to hide or reveal the .mac icon (which is pretty much useless, yet cannot be removed within the application). Mac OS X 10.4.x only. SyncScrubber needs a rating. Be the first to rate this app and get the discussion started!